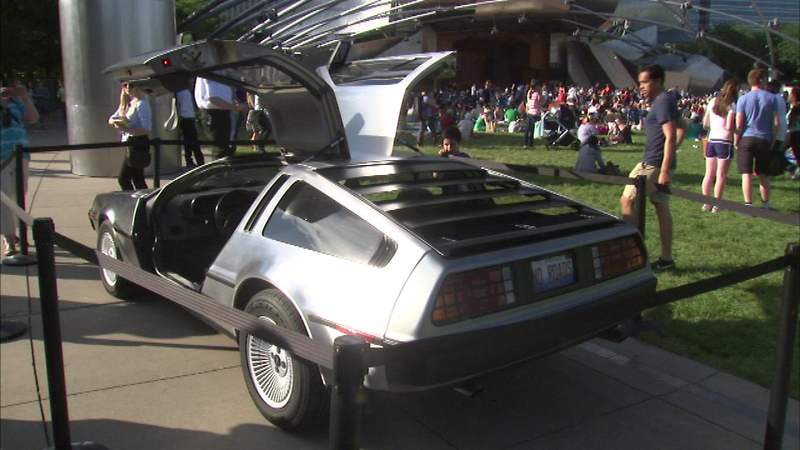 Millennium Park's Summer Film Series kicked off Tuesday night with "Back to The Future". CHICAGO (WLS) -- Millennium Park's Summer Film Series kicked off Tuesday night with "Back to The Future". Guests took a seat at the Jay Pritzker Pavilion or lounged on the Great Lawn. Pictures of the infamous 1982 DeLorean time machine were on display for movie buffs. You can enjoy a free flick every Tuesday through September 1.